This morning I took a coffee break at Life Perks Coffee Company in Wilton, Maine. I don’t go often, but when I do, I always order the “French Toast” latte. I’m not sure that’s the real name, but with brown sugar and cinnamon, it tastes like French toast. It’s especially sweet which I also don’t normally seek, but sometimes we get a hankering for something and it will stay until we address it. Coffee is the beverage that is most ever on my mind. There are many aspects of coffee that interest me. In another week, International Coffee Day spotlights coffee and addresses many of the aspects which intrigue me. In the USA, this day is celebrated September 29th. 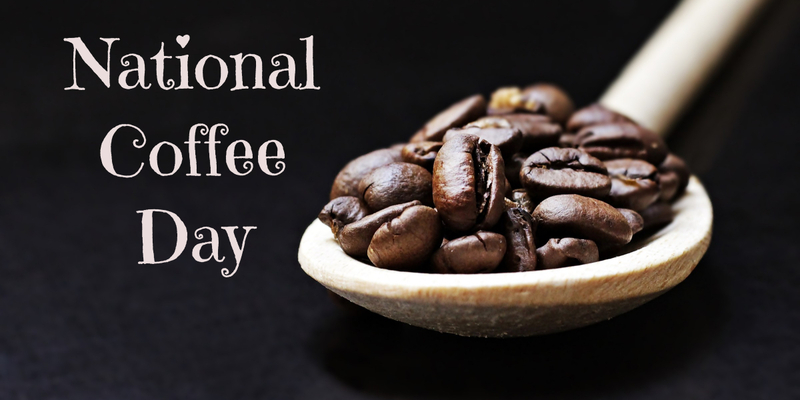 However, the International Coffee Organization and their associations have designated October 1st as International Coffee Day around the globe. A little confusing, but as I live in the United States, I’m happy to celebrate coffee on both days! International Coffee Day celebrates and explores all aspects of coffee. Each year a theme is picked. 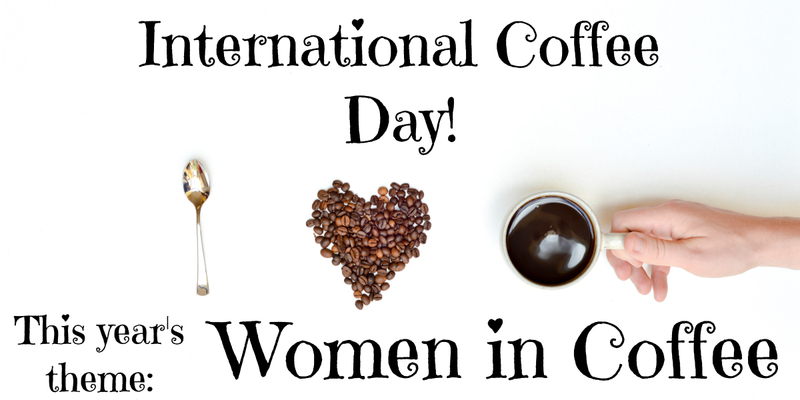 This year the theme is “Women in Coffee.” We might expect that the roles of women in coffee production are the same from one coffee growing country to another, but in fact, there is limited data regarding women’s roles in coffee growing to support this expectation. Further, the data is often not measured the same across the industry so we may be able to discern that in one country women are primarily involved with the drying of the beans so they can stay close to their homes, while in another country, women may be involved in organizing the structure of a coffee co-op or are actively involved in obtaining fair prices for farmers and other laborers. However, according to the 2008 analysis of the International Trade Centre, the most up-to-date information, women are primarily present in fieldwork, harvesting, and sorting where they are likely to be harassed and discriminated against. They are less likely to be involved in the business side of coffee in regards to pricing and land ownership. Indeed, there are countries where women are not legally allowed to own land. In 2016, the Food and Agriculture Organization of the United Nations reported that women “make up around 43 percent of the agricultural labor force in developing countries” and they “are especially disadvantaged, with fewer endowments and entitlements than men, even more, limited access to information and services, gender-determined household responsibilities, and increasingly heavy agricultural workloads owing to male out-migration.” This is sobering information. Further sobering is that women in developing countries not only lack access to land and fair funding opportunities, they most often lack opportunities to education. While they are not perfect, this is why I especially appreciate the efforts of Fairtrade and Slave-free organizations, as well as the efforts of small coffee roasters who engage with coffee producers and ensure a portion of the money they make goes directly to educational efforts for women and children. I frequently ask coffee roasters what efforts they make in this regard and consider the answer in my purchasing decision. As an example as to why this is so important, consider that in Sub-Sahara Africa, 18.6 million girls are unable to attend school, compared to 15.6 million boys (Unesco Institute for Statistics). 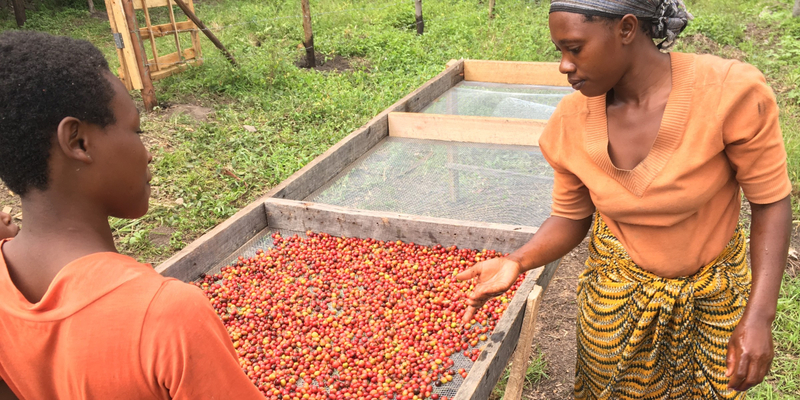 Women in the United States have better access to resources and are inclined to be cognizant of reaching back to coffee growers in developing countries to help ensure women and children have equitable access to education. One of my favorite examples of this is Coffee By Design, owned by Mary Allen Lindeman and Alan Spear. Not only is this company known for its commitment to community, environment, and workers here, it also makes an effort for origin experiences and engage in the process of production, right along with the farmers, as well as makes the commitment to education. They have several coffee shops in Portland, Maine and one in Freeport, Maine. I tend to frequent the Diamond Street coffeehouse when I’m in the area for business or shopping. What can coffee drinkers such as myself do to ensure better opportunities for women in coffee? 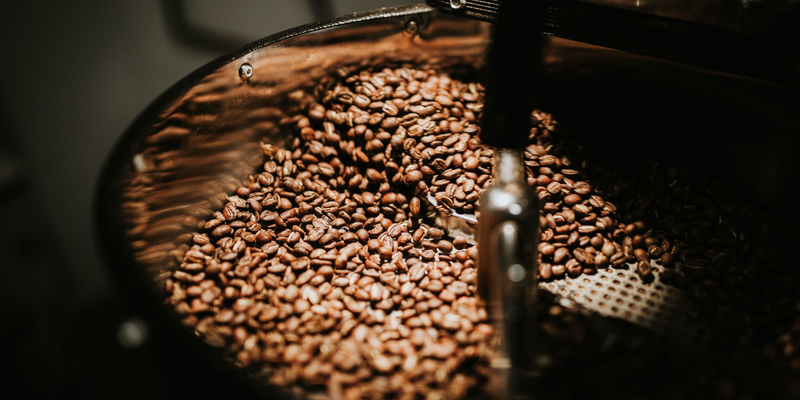 We can buy from roasters who participate in programs such as Fairtrade, Slave-free, Rainforest Alliance, Fair to Farmer, and Gender Action Learning Services. While no program is perfect and a variety of responses are necessary to assist different regions, but doing something is better than doing nothing. Focused attention fosters hope for the future.